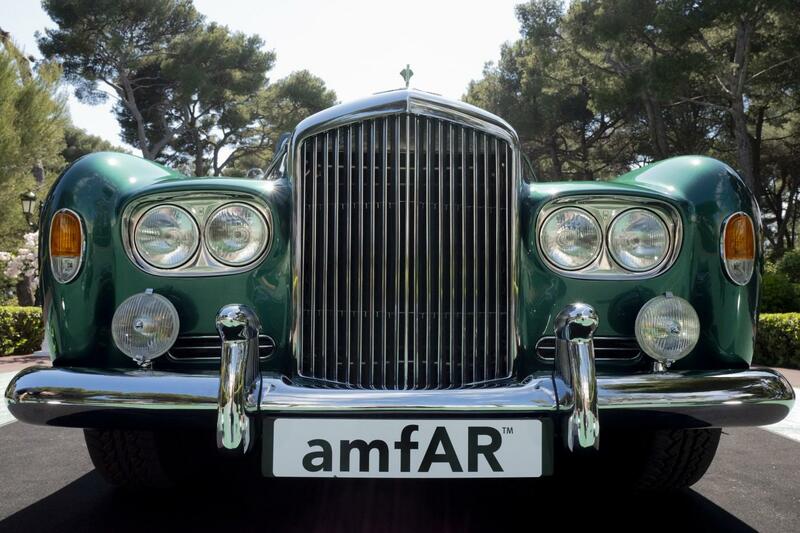 Stars came out in force last night to support amfAR’s 25th annual amfAR Gala Cannes at the Hôtel du Cap-Eden-Roc in Antibes, France, during the Cannes International Film Festival. 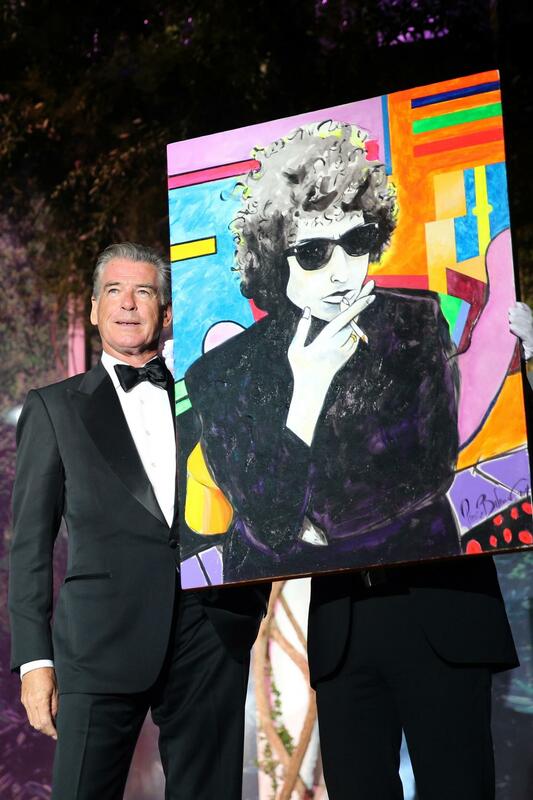 The event’s live auction surpassed totals from last year — an original painting by Pierce Brosnan sold for $1.4 million, fully restored and upgraded 1964 S3 Bentley convertible sold for over $800,000, and a Joe Bradley painting went for nearly $1 million. The evening also included amazing musical performances. 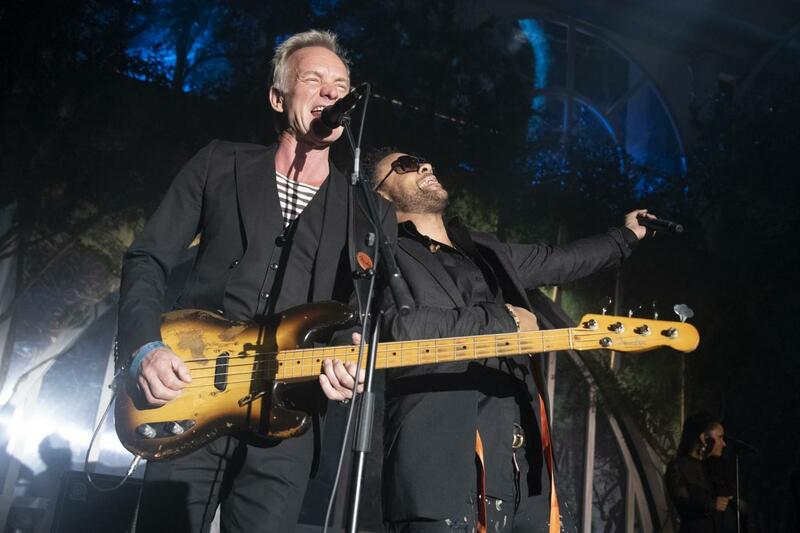 Sting and Shaggy performed the Police classic “Every Breath You Take,” as well as “Don’t Make Me Wait,” and “Morning Is Coming,” from their new collaborative album 44/876. 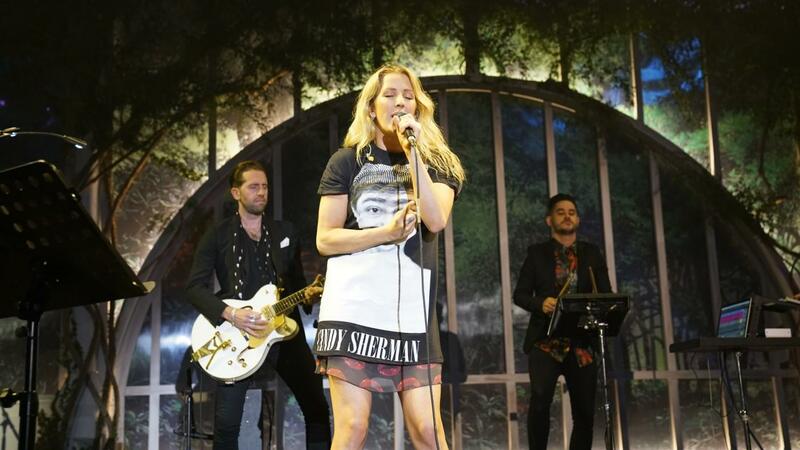 Singer and style icon Grace Jones entertained the crowd with a fierce performance of “La Vie En Rose” and “Pull Up to the Bumper.” Grammy-nominated British pop star Ellie Goulding opened the night with her hit singles, “Burn” and “On My Mind.” And pop and R&B sensation Jason Derulo closed the evening and had guests out of their seats with an explosive performance of “Trumpets,” Swalla,” and “Talk Dirty,” among others. The program began with Milla Jovovich and Ava Duvernay on stage welcoming guests to the 25th year of the event in Cannes. Jovovich expressed how proud she was to be among the 25 female chairs of the event, and said “we can and will achieve what two courageous women – Elizabeth Taylor and Dr. Mathilde Krim – set out to accomplish when they founded amfAR.” She then thanked the sponsors for their generosity and welcomed amfAR Interim Chairman, Bill Roedy, to the stage. 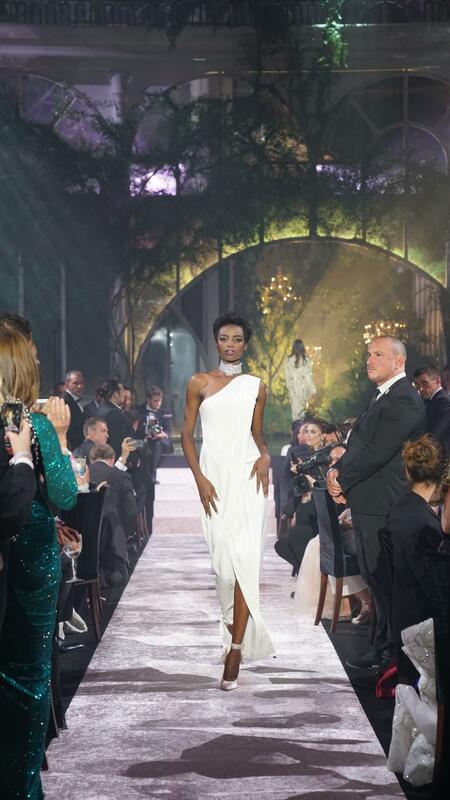 A stunning visual and highlight of the auction was the And Woman Created All / Et La Femme Créa Tout fashion show, curated by longtime amfAR supporter Carine Roitfeld. The dazzling collection, which generated $1.7 million, featured one-of-a-kind looks from the world’s most celebrated fashion houses. 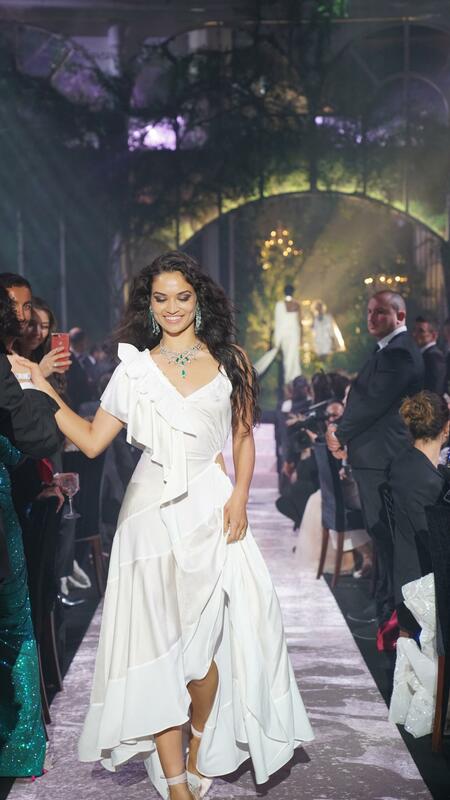 Participating designers included Alexandre Vauthier, Balmain, Chanel, Dior, Giambattista Valli, Givenchy, Gucci, Miu Miu, Prada, Saint Laurent, Tom Ford, Versace, and more.